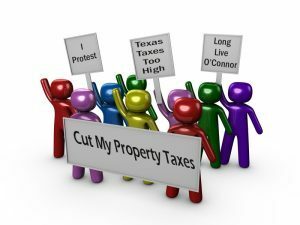 Why is it necessary to protest my commercial property taxes every year? Do you remember the iconic scene from the movie Network when TV news anchor Howard Beale, played by Peter Finch, says, “I’m mad as h*** and I’m not going to take it anymore.”? Howard Beale was fed up with the banks, crime and unemployment. Today, homeowners are that angry about increasing property values and in numbers larger than ever before they are fighting back. While the programs our property tax dollars pay for are important, no one wants to pay more property taxes than they legally owe. So, the questions you need to ask yourself are: Is your property equally assessed? Are you paying higher property taxes than your neighbors? Can you spend your money better than the government can? Commercial property taxes are calculated by Harris County Appraisal District based on the market value. State law requires the appraisal district to determine the market value of each property as of January 1. Of course, market values change with the rise and fall of the economy. Home values are higher when the local economy is stronger and trend down when the economy slumps. Have you experienced a reduction in your property taxes when the economy slows down? Property taxes are cumulative. You must protest, be proactive, get involved or your property value will be unequally assessed. If it is your goal to pay only your fair share of property taxes and no more, you need to protest every year without exception. In his motivational presentation on “Cut My Property Taxes,” Patrick O’Connor states, “If you remember only one thing from my talk today, it should be to protest your property taxes every year.” At a recent talk he stated that good citizens protest every year because they are not only helping themselves but they are also helping their neighbors. Homeowners and commercial property owners can get reductions by showing that comparable properties have lower valuations. It takes everyone doing their part to create an equal and uniform valuation for like properties. Property tax increases have a cumulative effect. For a few years you may have slight increases so you choose not to protest. But when the assessed value increases more than slightly and you decide to protest, the appraisal district will argue that since you didn’t protest the previous years’ increases, you must have agreed with them, so the appraisal district’s assessment most likely will not go below the valuations you did not protest. At this point, what helps you the most are those neighbors who did protest when you did not. One homeowner asked his O’Connor’s tax agent just to protest every other year, ostensibly to reduce his tax consulting fees. The savings on a commercial property valued at $3,000,000 can be significant when you protest every year. He didn’t think it was fair that he had to pay for a protest annually, though he himself wasn’t protesting annually. But once he understood that he only paid a percentage of the savings when he won, he committed to protesting annually. Everyone wins when you protest your taxes annually. Don’t delay! The deadline to protest is May 15th! To sign up for the Commercial Property Tax Protection Program, click here and we will protest for you every year.